Clash of Clans is a very interesting and addictive fantasy strategy game for Android and iOS. As a player, you take on the role of a village leader. You need to lead and coordinate the village inhabits and help them build their own town. This is where the challenging part comes up: your village needs to attack other players in order to gain access to more resources, and especially gold, elixir and dark elixir. Collaboration features are also supported: players can join their teams to create clans, back one another up with troops and resources when necessary, and more. As we already mentioned, Clash of Clans is only available on Android and iOS. 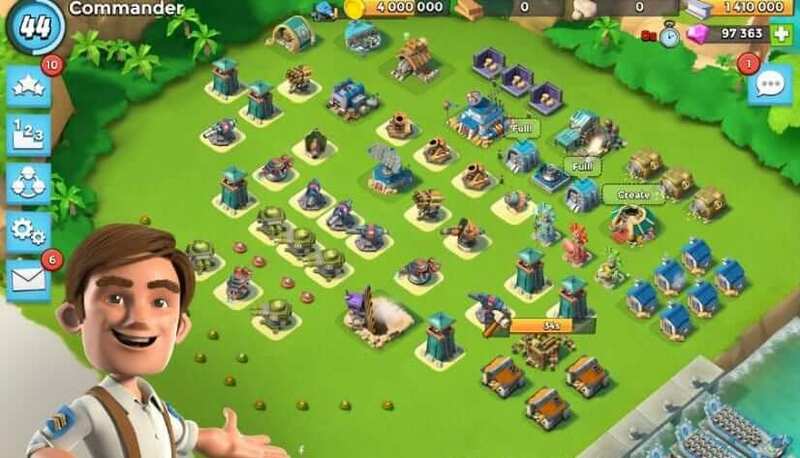 If you’re a PC gamer and you want to play this game on your machine or maybe other games that are similar to Clash of Clans, then this article if for you. In the second part, we’ll show you a step-by-step guide on how to download BlueStacks and play Android games on PC. As its name suggests, this game challenges you to build your own empire and lead it to greatness. You start off in the Stone Age and gradually progress through major eras in order to reach the ultimate era: Oceanic Future. As a a player, you need to carefully manage your production to collect as many coins and tools and possible so as to further expand your building space. Of course, if you want to upgrade your empire faster, you can also use real money to buy diamonds and technological advances. This option comes in really handy if you’re running out of time. Keep in mind that you need to unlock the eras within a limited timeline otherwise you progress won’t get validated. Speaking of progressing through eras, as expected, technological research is the key so make sure to constantly focus on that area as well. Interested in playing Forges of Empires? You can download for free it using BlueStacks. 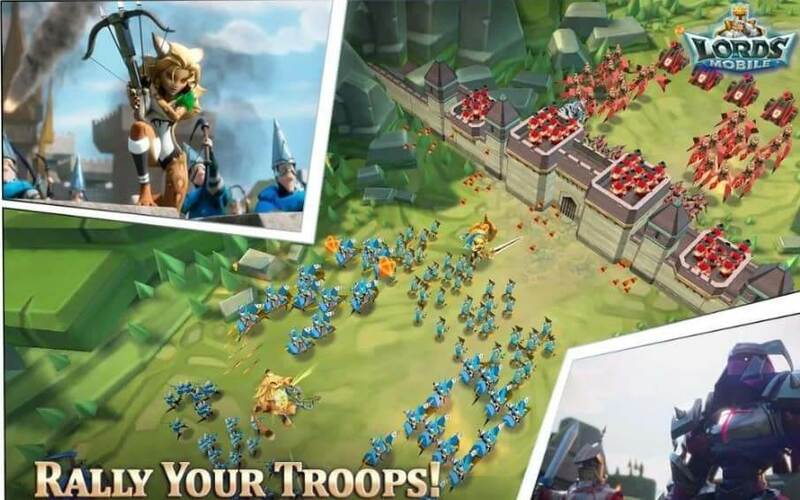 Lords Mobile is a very addictive and extremely popular multiplayer game for Android and iOS. So, if you’re into fast-paced action and vicious battles, then this is the perfect game for you. The game successfully mixes world-building mechanics, open-space RPG, and RTG. So, you’ve got all these game types into a single title. PVP-battles are also supported, just in case you want to show your friends who’s the best player. 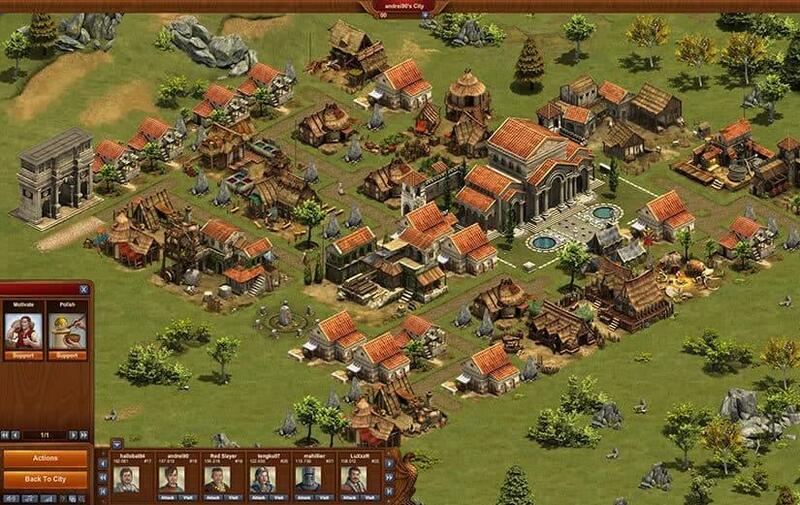 Simply build your own base and create a strong army and then attack and destroy enemy bases. If you want to be successful, show absolutely no mercy and destroy everything in your path. Don’t forget to seize resources and use them to advance your empire. Speaking of resources, from time to time, you’re going to battle monsters and other bosses. Kill them as soon as possible and then capture all the resources that you can from them. If you really like to compete against other players, Lords Mobile also offers you the chance to take part in various contests. Be the first to capture a location on the map and the prize and resources are all yours. Are you curious to play Lords Mobile? Then download the game for free using BlueStacks. 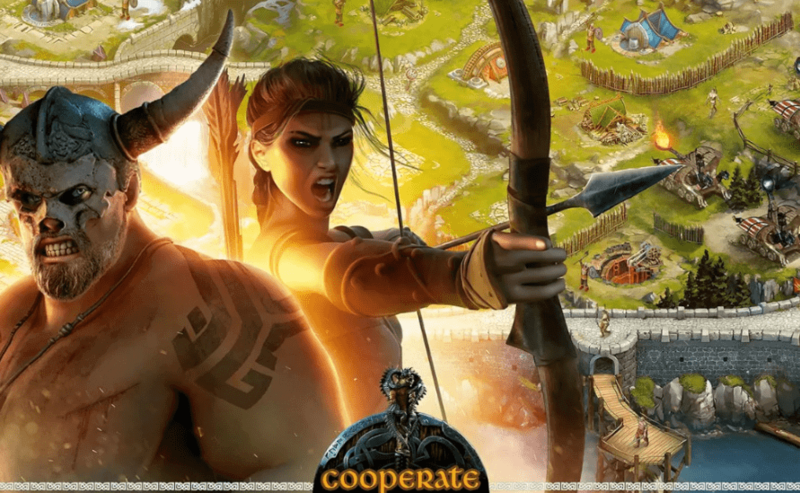 If you’re interested in Viking mythology and you’re looking for a fun Viking-themed game to play, then Vikings: War of Clans is the right game for you. We guarantee you’ll love it. Vikings: War of Clans is a very challenging MMO that forces players to cooperate in order to build stronger clans — just like the Vikings did. As it happened in the Viking world, hierarchy plays a very important role in the game mechanics and clans have their own ruling hierarchy. Depending on their hierarchy role, players have different authority levels and all of them must work to achieve collective goals and help other clan members to progress. Each group or clan has its own rules and management structure, so communication is key when coordinating your actions. 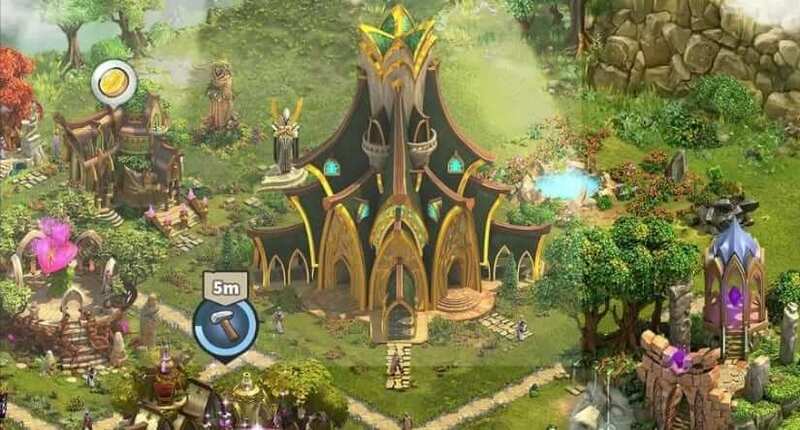 Just like any world-building game, Vikings: War of Clans challenges players to accumulate as many resources as possible by upgrading resources buildings, discovering new resources locations and attacking and looting other players. You can need use the resources to upgrade your empire. Each kingdom has a place of power in its center. Reaching and capturing that place of power is the main objective of the game. Since we previously mentioned Vikings, let’s stay on the same line and focus on an elf-themed game this time. As its name suggest, Elvenar is a city building game where elves roam freely. 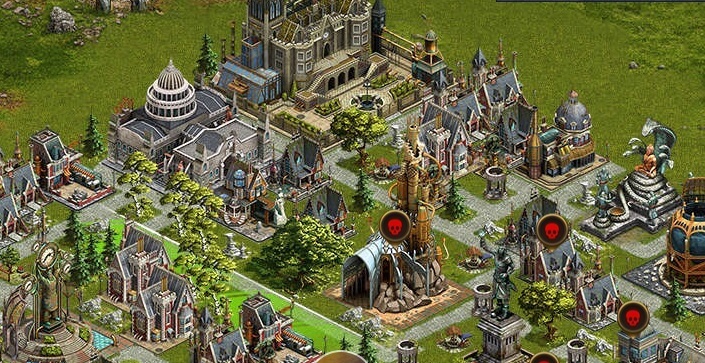 Whether you choose to play an an elf or a human, your main tasks remain the same: upgrade your village, increase productivity and transform it into a kingdom. As you already might have guessed, each character has its special set of skills. Playing as an elf gives you access to powerful magic which comes in very handy when building. If you choose to play as a human, you’ve got a major advantage when it comes to using medieval weaponry. Elvenar’s game mechanics are similar to any city-building game: you need to explore the map in order to discover and collect rare resources, increase production, perform technological research to upgrade your little village and unlock many special resources. Keep in mind that being able to defend your territory at all times is as important as upgrading your infrastructure and advancing technology research. Raise a strong army of fantastic creature and be ready to defend your territory when under attack. Interested in playing Elvenar? You can download it using BlueStacks. Now, if you prefer a military-themed game, then Boom Beach is the perfect game for you. This title was developed by Supercelll, the same company that also created Clash of Clans, so this elements alone is a guarantee that you’ll fall in love with it. Boom Beach is set in a tropical archipelago and your main task is to protect your island against attacks. The title focuses primarily on the military strategy part, challenging gamers to build their own base from scratch and upgrade their buildings and troops. The game supports both single player missions as well as multiplayer campaigns. In order to increase your upgrade capacity, you need to collect various resources (gold, stone, iron, diamond). You can use thesle items for very specific purposes, for example, gold allows you to train and upgrade your soldiers. Don’t forget to build special statues using Power Powder, Power stones and other similar elements to speed up troop health, health recovery, and more. You can download and install Boom Beach on your PC using BlueStacks. Rage War is an interesting strategy game that challenges you to expand your empire. You’ll start small, from a small city and you have the chance to upgrade to a large city, gather a powerful army, and battle enemies to conquer new territories. You will battle barbarians, huge armies and experienced individual players that all have the game end goal in mind, just like you. You can play the game directly on your browser or download it on your computer. Go ahead and download BlueStacks. Click on Download BlueStacks on PC. 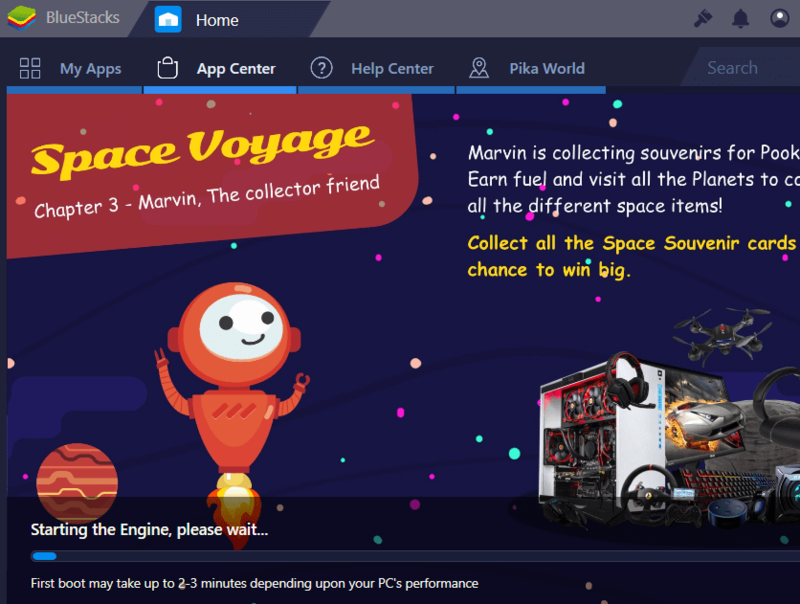 On the next page, you will have to click on download again, to start downloading BlueStacks emulator for your Windows PC. 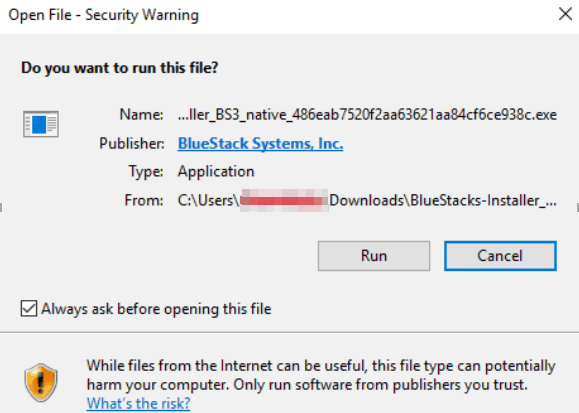 Next, you will see the .exe file for BlueStacks-Installer being downloaded. Once it’s finished, click on it and run it. If you get the ‘Do you want to run this file?’ pop-up, just ignore it. BlueStacks is completely safe and will not harm your PC. Go ahead and click Run. Do the same for the next step, if you get the “do you want to allow this app to run on your device?” Click Yes. Now, you’re almost there. 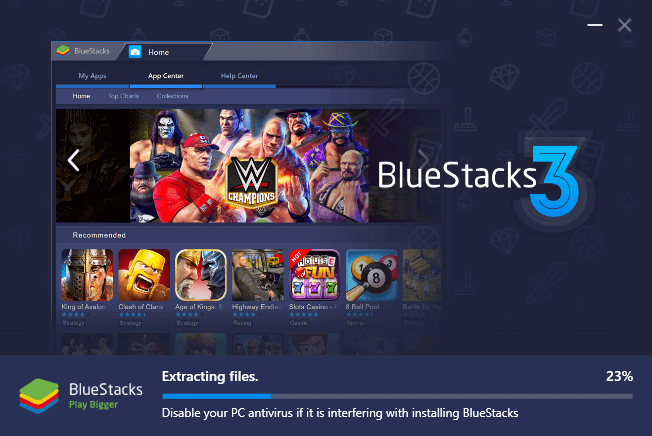 Go ahead and click Install to start installing BlueStacks on your PC. Wait until the installation process is finished. As suggested by BlueStacks, you might want to disable your antivirus temporarily. Don’t worry, it won’t let any viruses in. Once it’s finished, click on Complete. Now, you need to wait a couple of minutes in the “Starting the Engine” step of the process. This is needed for the Android Emulator to assess your PC performance and work accordingly. Next, you will need to login with your Google account. 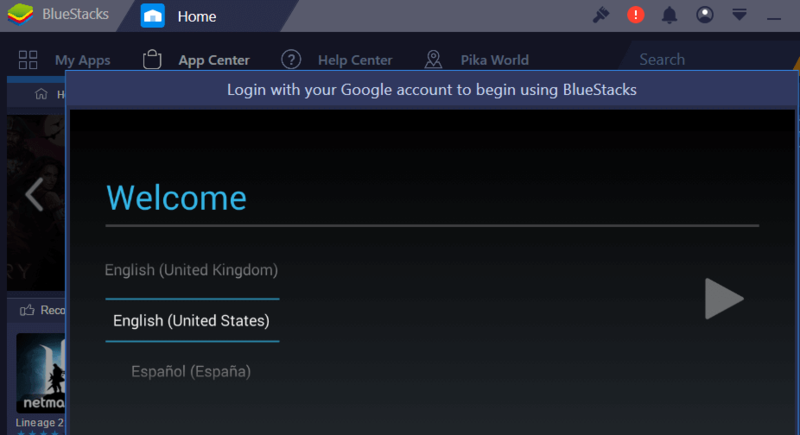 This might seem annoying, but it is actually a sign that BlueStacks has a professional relationship with Google, thus being able to download any Android game or app on your PC. If you are already logged in with a Google account, make sure to use that one. Now, the final step is to make sure everything is running smoothly on your PC. Go ahead and install the games of your choice. As you can see, the game comes from the Google Play Store itself and is also free. Install it, see if it runs on BlueStacks. After that, you can go ahead and download any Android game that you wish. There you go, we hope you enjoyed this list. Now, go ahead and download BlueStacks on your PC to install all these games. Editor’s Note: This post was originally published in March 2017 2 and has been since updated for freshness, and accuracy.